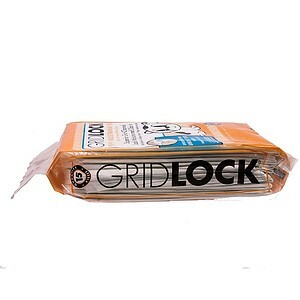 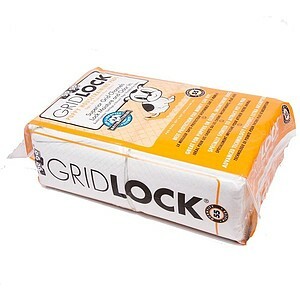 Gridlock Training Pads are the first pad to use an Antibacterial Polymer to maximize absorption. 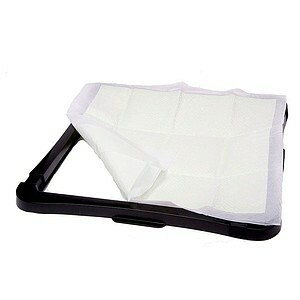 This feature, on top of the super absorbency, makes a cleaner, safer training pad.. 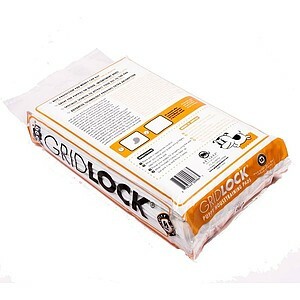 This Polymer also makes the Gridlock Pads the safest and cleanest pad available. 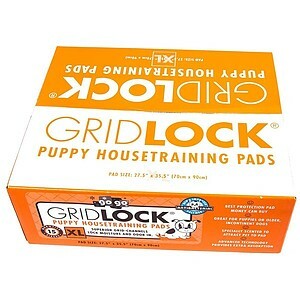 We now offer our Gridlock Training Pads in a variety of different styles and sizes for yours and your pets every need. 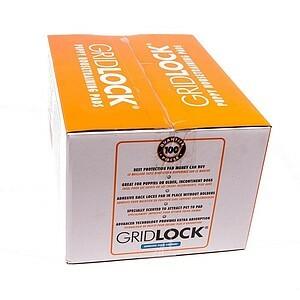 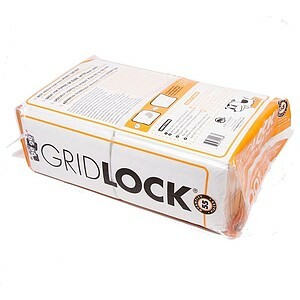 Gridlock is our number one selling Training Pad and the best quality on the market. 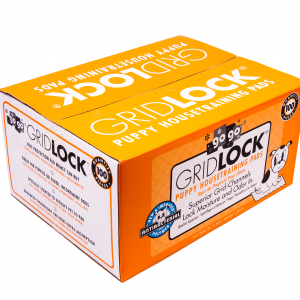 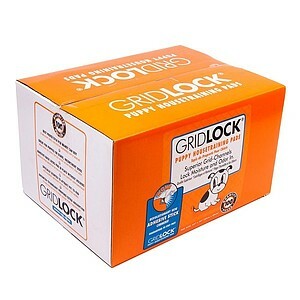 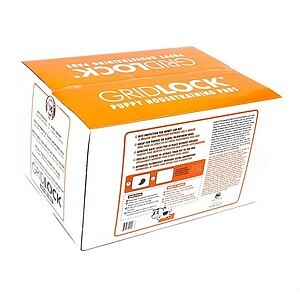 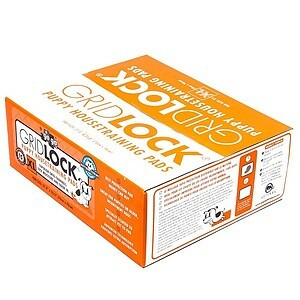 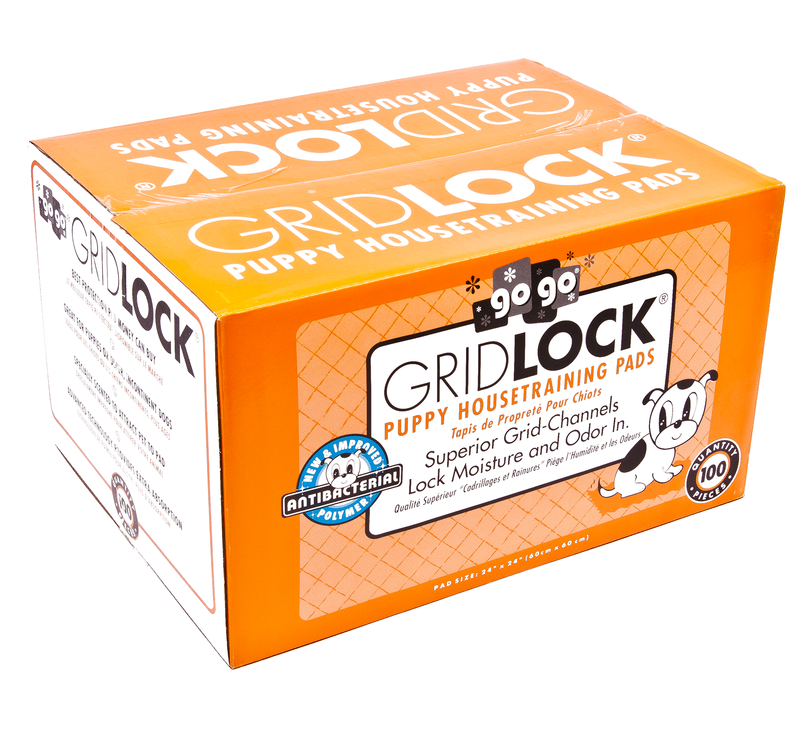 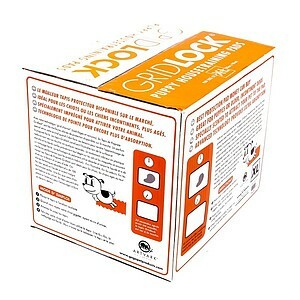 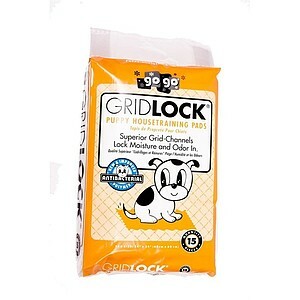 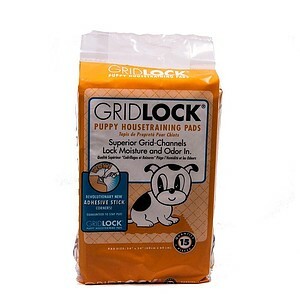 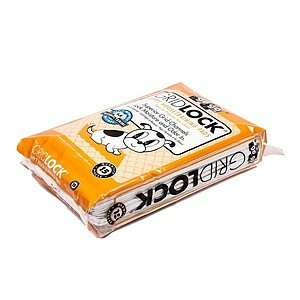 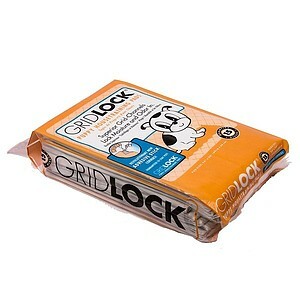 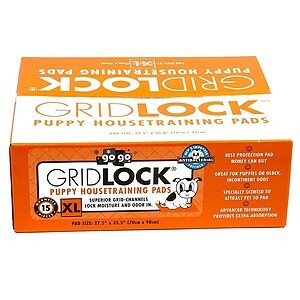 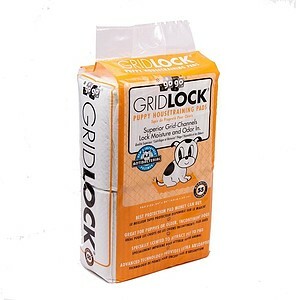 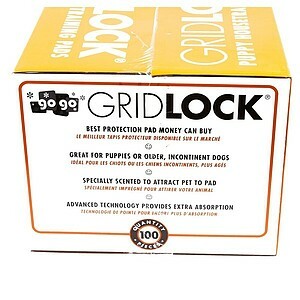 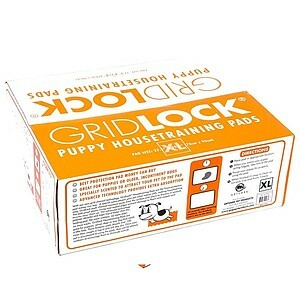 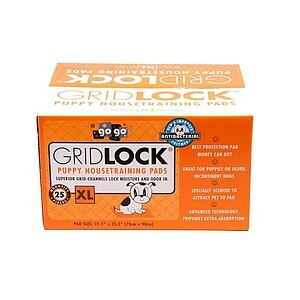 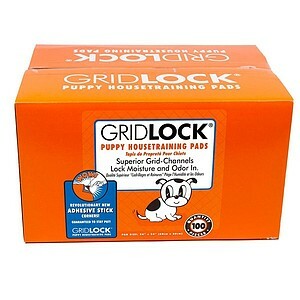 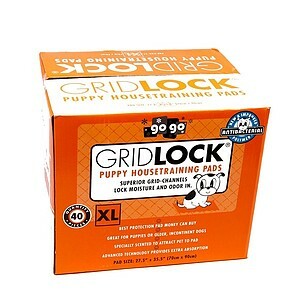 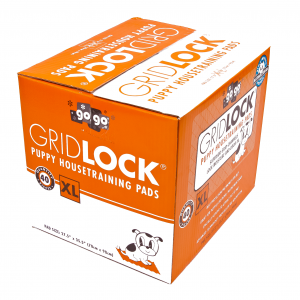 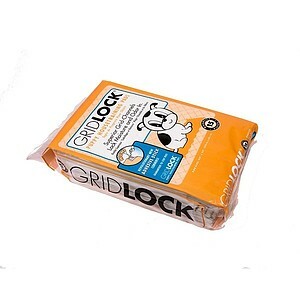 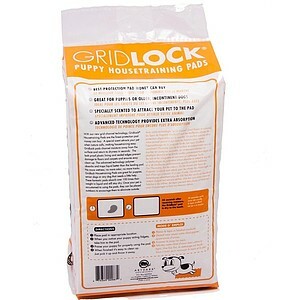 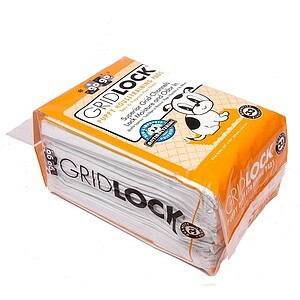 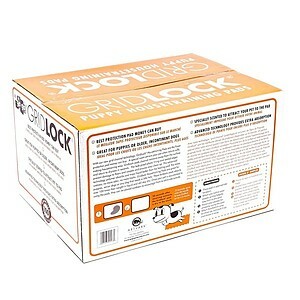 Gridlock Training Pads are a staple product for any astute pet owner. 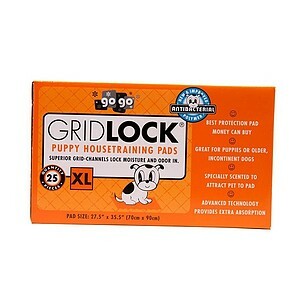 Great for puppies and dogs of all ages who may need a little help at home. 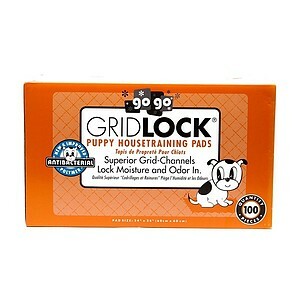 Made with antibacterial grid channels for unbeatable absorbency and with a special scent that will attract your pet and help to pad train your pet. 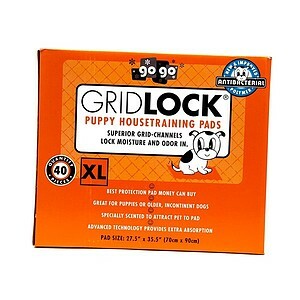 These Gridlock Training Pads are the classic size of 24×24 which is perfect for all sizes and breeds of pets. 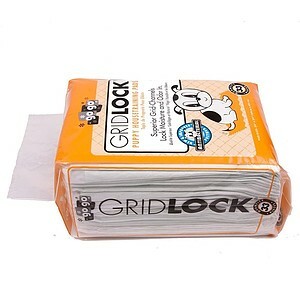 We offer these in packs of 14, 30, 50 or 100.